A Dutch promoter had booked Mingus with Pullen, drummer, Dannie Richmond and Adams on an extensive tour of Holland. After Mingus' death in 1979, he (the promoter) wanted to call the remainder of the group 'The Mingus Dynasty'. We didn't mind doing the tour, but we didn't want to be called by that name without Charles Mingus. Cameron Brown became the groupÌs bassist as the tour began in November 1979. The George Adams-Don Pullen Quartet toured Europe for the first few years. Then a date at New York's Village Vanguard catapulted them to fame in the U.S. But it wasnÌt this group that brought Adams to the Apple. I went on the road with organists, Hank Marr at first, later Bill Dogett (Honky Tonk). When I came to N.Y. (with Dogett) I had $100 in my pocket. The very next day I got a gig with the Flamingos (a charted R&B group) in Brooklyn. Six months later George Adams was back with organists, this time Lonnie Smith was the leader. Drummer, Roy Haynes, for whom Adams has great respect, led a group which featured George. But it was with Mingus where he became widely recognized. The world was rediscovering Charles Mingus during the early 70s and the great bassist/composer was experimenting with new voicing. He used drummer Roy Brooks playing saw with mallet; Charles Magee played two trumpets÷ at the same time. 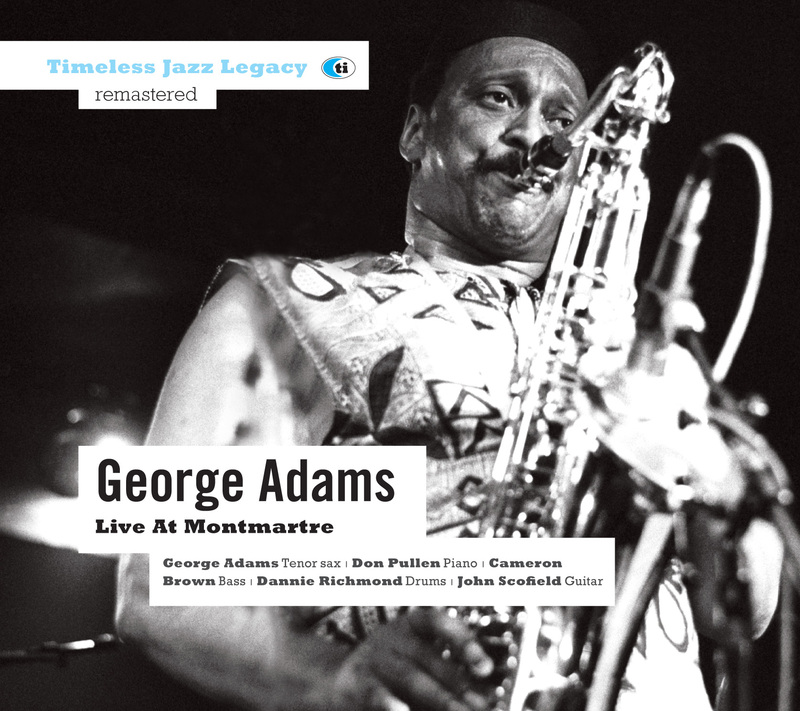 And George Adams was creating a new voice of his own based on Mingus ideas.